Precision Dispense improves cleaning results by releasing detergent at the correct time during the cycle for optimal fabric care. Detergent mixes with water to penetrate fabrics and virtually eliminate pretreating. 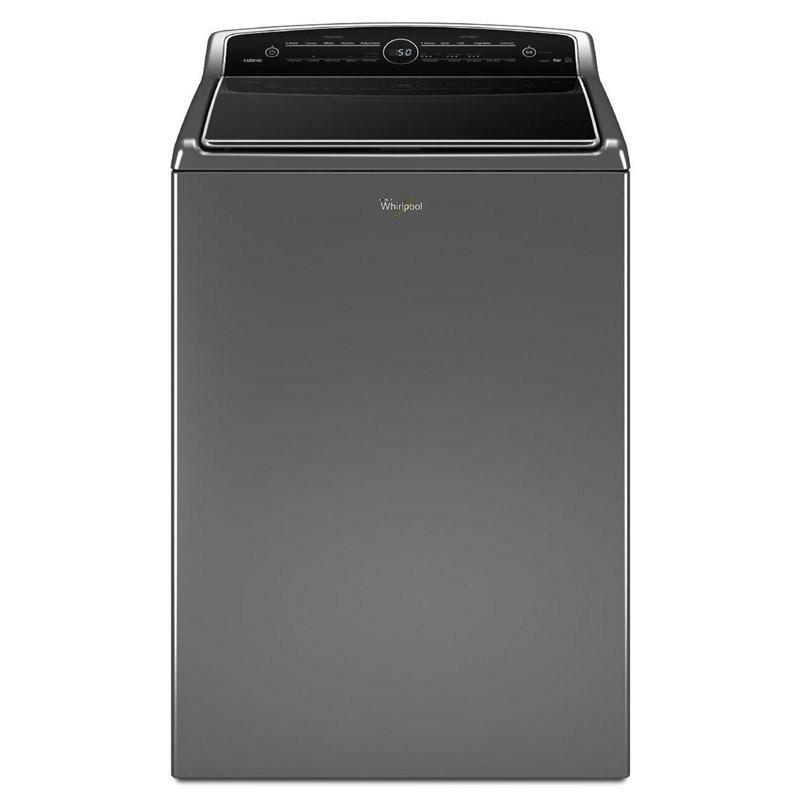 Keep clothes looking newer longer with Whirlpool® Cabrio® washers. 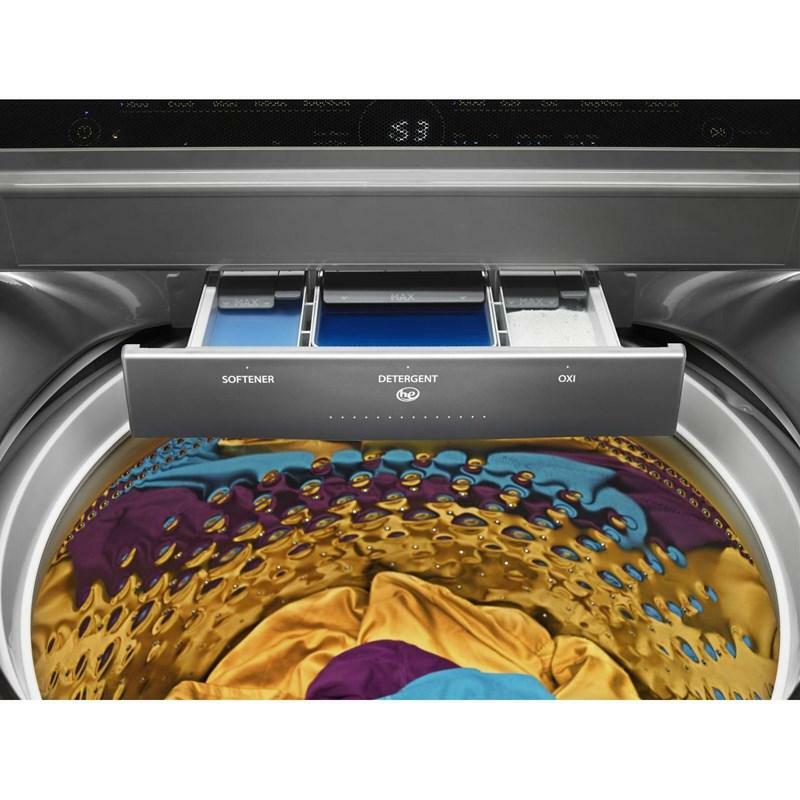 Adaptive Wash technology with Active Bloom™ wash action delivers premium cleaning by moving clothes more during the wash cycle. It automatically senses and adapts to the size of your load while using the right amount of water. Intuitive Touch Controls with Memory ask the right questions with simple 'what' and 'how' controls. This creates tailored washing cycles from a console the even remembers your recent settings. 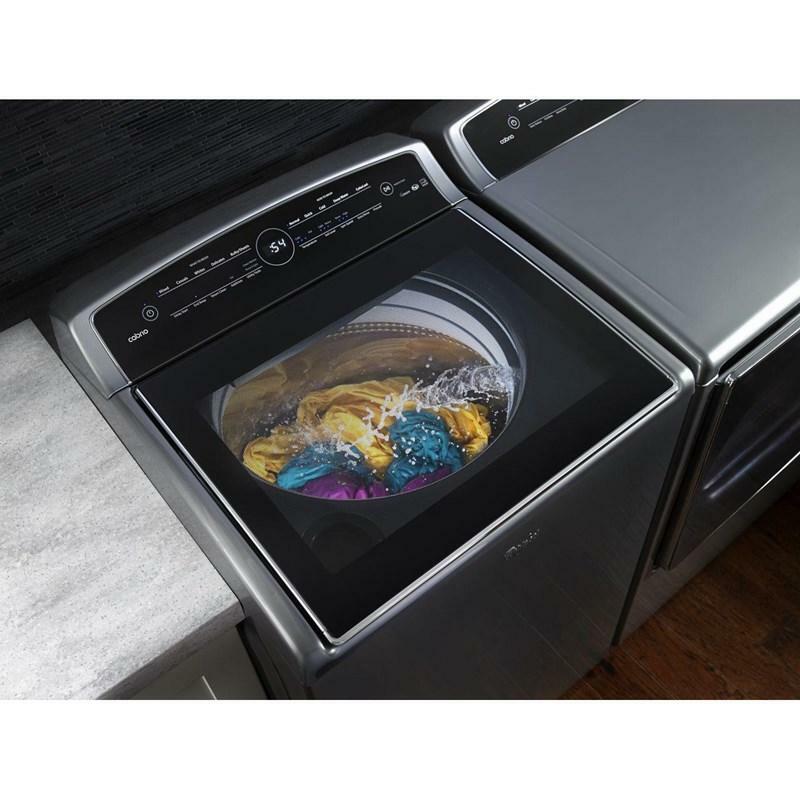 A tinted washer lid allows you to look inside and see the wash action while the load is in progress. Give your most vibrant colors a boost with the industry-exclusive ColorLast™ option. It uses a precise combination of wash action, temperature and time so that clothes look fresh, not faded. Total Capacity IEC 6.1 cu. ft. / 0.17 cu. m.